Thinking about starting a pay-per-click (PPC) campaign (sometimes called paid search, search engine marketing or just SEM)? Diligent keyword research and careful selection can make or break the success and ROI of your PPC ad spend. Generally, we recommend bidding on important keywords even if you rank for them organically. Having two impressions on page 1 of the SERP (search engine results page) is better than having one, and you can direct customers to the best landing page for their needs with your PPC ads. Drive traffic without driving up ad spend by trying to find high volume and low competition keywords. Start with broad keywords and make them more specific. For example, “pants – women’s pants – women’s long pants – women’s black long pants.” Be careful though, too specific can sometimes do more harm than good. Use the free tools available to make keyword research faster, easier, and more accurate, such as Google’s Keyword Planner. Worth remembering at this point is the landing page you’ll be driving your traffic to. Be sure to download VONT’s (free!) 12 Steps to a Better Converting Optimized Landing Page for all our tips. App extensions: add a link that sends people directly to the app store or begins the download of your app. Call extensions: add a click-able “call” button for those searching on their smartphone. Location extensions: Add a clickable map pin or call button to the bottom of your ad, so it is easy to find your nearest storefront location or phone number. Review extensions: Show customer reviews under your ad copy from a third-party source. Site link extensions: Help people find what they are looking for on your site in one click. Callout extensions: Add additional text to help people see benefits of working with you. Consumer ratings: Add survey data that shows industry-specific consumer ratings. Previous visits: Show people whether they’ve clicked your site from Google search results in the past to help them find it again. Dynamic structured snippets: Show more landing page information underneath your ad to give more information and increase click-throughs. Seller ratings: Showcase online business ratings and reviews gathered from reputable sources. According to Think with Google, consumers spend 15 hours per week researching from their smartphones and 93% of people who used mobile research went on to purchase. Here are a few things to remember to take advantage of this and optimize your PPC for mobile. Simply repurposing desktop ads and designs won’t cut it. Google gives preference to mobile-optimized text ads and extensions for mobile searches. Be sure to click the “mobile” option during setup. Mobile ads should be less than 60 characters. Sitelinks between 15-17. Utilize extensions, such as the call button, for easier interaction with your ad on a phone. Use mobile-friendly landing pages that are simple, easy-to-read, and easy to interact with. Use short calls-to-action that are easy to see, decide upon, and react to on a small screen. It’s incredible how much a slight adjustment to ad copy can change its performance. Although there are other testing methodologies out there, A/B testing is common, useful, and less complicated than others. Decide which (one) variable you want to test (CTA location, tone, offer, spelling, etc.). If you already have an ad running, keep one variation (A) the same, then add in the variation on second ad (B). Or start from scratch with two new ads that are identical except for that one variation. Be sure to wait to accumulate a statistically valid sample size of impressions and clicks. If you’re familiar with A/B testing and are ready for more, be sure to read VONT’s How to Take A/B Testing to the Next Level. Your competitors may very well be bidding on your brand terms and stealing quality clicks. The cost-per-click should be very low, making these your cheapest and most valuable clicks. If a customer is already aware of and researching your brand, they are highly likely to convert. Directing traffic. In most cases, your homepage will be the page ranking organically, but it may not be the best landing page to send your customers to depending on the variation of branded keyword they are using. 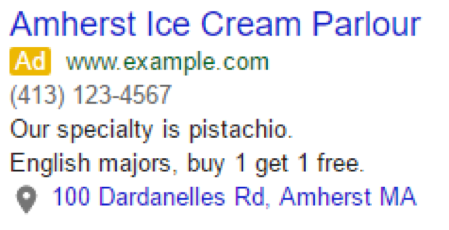 Use PPC to send customers directly to the best landing page, e.g. individual product pages or pages with special offers or upcoming sales. Great campaigns don’t happen on a whim. 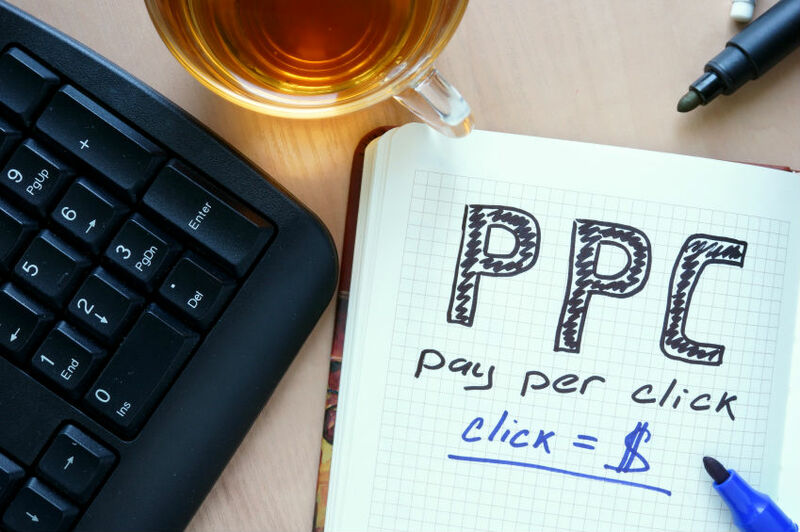 Pay-per-click advertising is not simple, but it is a highly effective tool for getting your message in front of those people who are searching for what you have to offer.